Friends of Impact 100 Jersey Coast play an important role in furthering our mission, by helping to offset critical operating expenses, so that we can function efficiently. These donations ensure that we can assess applicants and award and monitor large grants, while we grow membership and raise awareness. This donation does not provide membership voting rights. 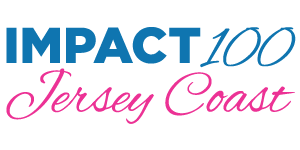 If you’d like to donate and receive membership privileges, find out how you can become a member of Impact 100 Jersey Coast. Please contact membership@impact100jerseycoast.org with questions. To donate by credit card, click the button below. All checks should be payable to the Community Foundation of New Jersey. Please note “Impact 100 Jersey Coast” in the memo line. To donate by Electronic Fund Transfer (e.g. Donor Advised Fund, IRA, stock transfer), please contact our Membership Team to confirm the name of this fund so that we may accurately match this donation to your pledge.